A wide range of opinions is understandable, but there are several reasons Democrats should support Neil Gorsuch for the position of Supreme Court justice. Ranging from his support for criminal justice reform to his skepticism of government power (including opposition to the expanding number of criminal laws) and his personal disagreements with Trump, there are several aspects of Gorsuch’s nomination that should appeal to Democrats as well as Republicans. The most important issue that should make Democrats interested in Gorsuch’s nomination is his staunch support for the Fourth Amendment. In the case of United States v. Carloss, Gorsuch strongly dissented against a warrantless “knock and talk.” Agents with the federal Bureau of Alcohol, Tobacco and Firearms, accessed a front porch to try to get the homeowner, Ralph Carloss, to let them enter the home DESPITE the fact that the homeowner had several “No Trespassing” signs in front of his property. The court ruled in favor of the agents, but Gorsuch dissented, arguing that they needed a warrant in order to go onto the front porch of the home due to the no trespassing sign. The agents attempted to argue they had “implied consent,” but Gorsuch stated that the multiple “No Trespassing” signs suggested otherwise. He has also discussed concerns for issues involving individual privacy in an age of expanding policing technology. In the case United States v. Denson, where doppler radar devices were used, Gorsuch wrote, “New technologies bring with them not only new opportunities for law enforcement to catch criminals but also new risks for abuse and new ways to invade constitutional rights” in the ruling. This has become a pressing issue in the modern day with police using stingray phone tracking devices and the continued use of red light cameras. Nevertheless, Gorsuch has always ruled in favor of the individual and in support of the Fourth Amendment. Judge Gorsuch has repeatedly proven himself to be a supporter of the fourth amendment and the rights of the accused. Giving him a seat on the Supreme Court would be a victory for criminal justice reform and for fourth amendment supporters everywhere. Finally, there’s the last issue which is fear of him being a rubber stamp for the Trump administration. This has been an issue that has been making rounds in the press. However, the evidence actually suggests that this is completely unfounded. 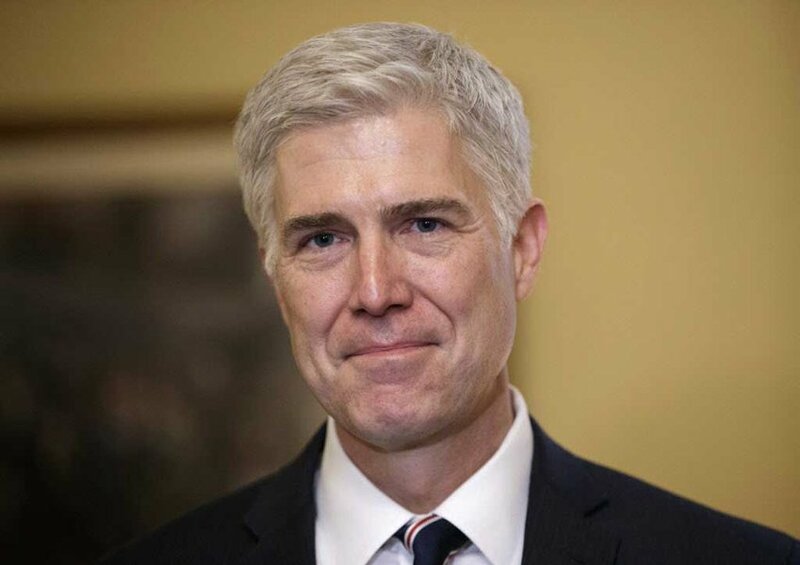 For example, he has disagreed with Trump in the past, calling Trump’s attacks on a federal appeals court judge “demoralizing” and “disheartening.” If Gorsuch is confirmed, then there will be a Supreme Court judge on the bench who is not afraid to disagree with the President and puts the law above partisanship. To sum up, the left would do well to support Neil Gorsuch in his bid for the U.S. Supreme Court. He is a man dedicated to individual liberty, criminal justice reform, and willing to challenge executive overreach. It is unlikely that a candidate more open to the left will come along and Trump’s constant attacks on his opponents highlight that it is unlikely a follow up to Gorsuch should the nomination fail would be allowed to be as open minded. Gorsuch is the right man to address these issues and would be a good fit for the position. For that reason, there should be bipartisan support for Neil Gorsuch as we move to make him our country’s next Supreme Court justice.